George and Debbie Hastings were looking for a place of their own where they could raise cattle, target practice, camp, and even enjoy their own beautiful lake. When they came upon old dairy farm that was up for sale they knew they had found what they were looking for. 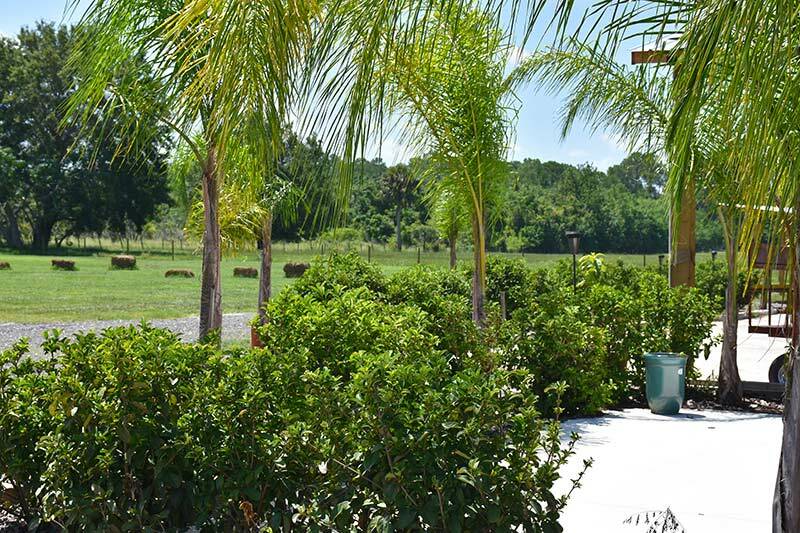 The farm had not been operating for roughly 20 years and was sold in the early 2000’s to a group that sold a large portion of dirt from the property to help build the fourth runway at Orlando International Airport. The result was a 50 acre lake that is approximately 30 ft deep. The main barn itself was used as a dairy barn since the late 1950s and had quit operating around 2000. We began the task of repurposing the barn in order to keep our hay for the cows and horses dry as well as our farm equipment. As our cattle herd began to grow we needed to store more feed and so we climate controlled the feed area. Once we had replaced the existing windows we began seeing the potential our “old barn” as a wedding reception facility. It had always been Debbie’s dream of hosting ranch weddings, and it began to look like to dream would come true. We decided our functioning agriculture barn could also be a functioning wedding facility, so the decorations, paint and other cosmetic adaptations began to take place. Debbie wasn’t the only one dreaming. George had always wanted to have a place where the youth could learn outdoor skills. So he stocked the lake with 15 thousand game fish and did some lake clean up in areas that would be excellent for camping in the future. 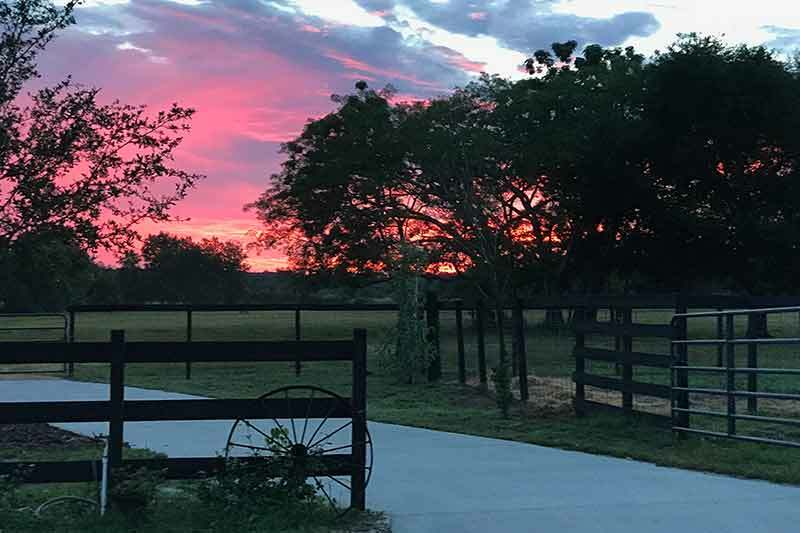 The Hastings’ dream of having our own private ranch evolved into something much larger than they had expected, and now organizations and individuals from all over Central Florida inquire about private special ranch events and much more. The barn now includes a beautiful bride’s quarters, air conditioned reception area and many, many outdoor wedding sites that are perfect for photography and videography. We even have a pole barn in the event we have less than ideal weather. We think you’ll love our custom built ranch tables, pallet walls, wine barrels, mobile bar, pew benches, hay bales and the huge array of wedding decorations… not to mention our walk-in cooler! Contact Hastings Ranch & Farm Now!